Around 43 years ago this Mayfair-based establishment introduced the British to the joys of fine dining. 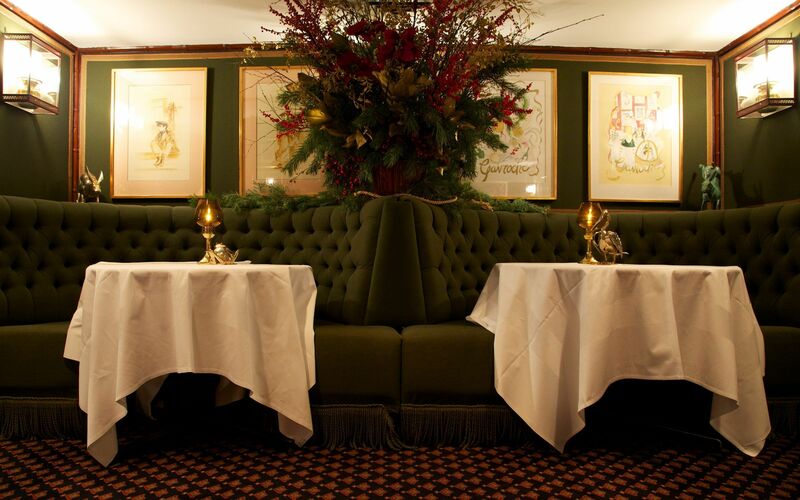 Up to this day it is what could be one of England’s most popular fine dining restaurants. Le Gavroche is a Franco-British institution. Established in the 1960s it is still very much in existence. Undisputedly one of London’s best restaurants, it probably could also win a prize for one with the fewest changes since the early days. The room looks just the way it did when it was conceived, in a charming, extremely British way. You won’t find many restaurants looking like this anymore, which makes eating here quite something. Its a restaurant that is as much about the superb ambience, convivial and formal at the same time, as it is about the food. 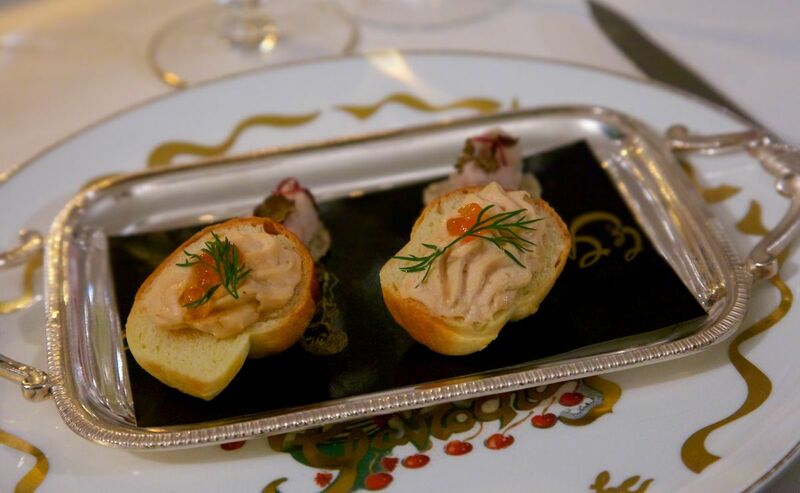 Not to say the latter is not so good it demands your full attention, but there is more than just “that” to Le Gavroche. 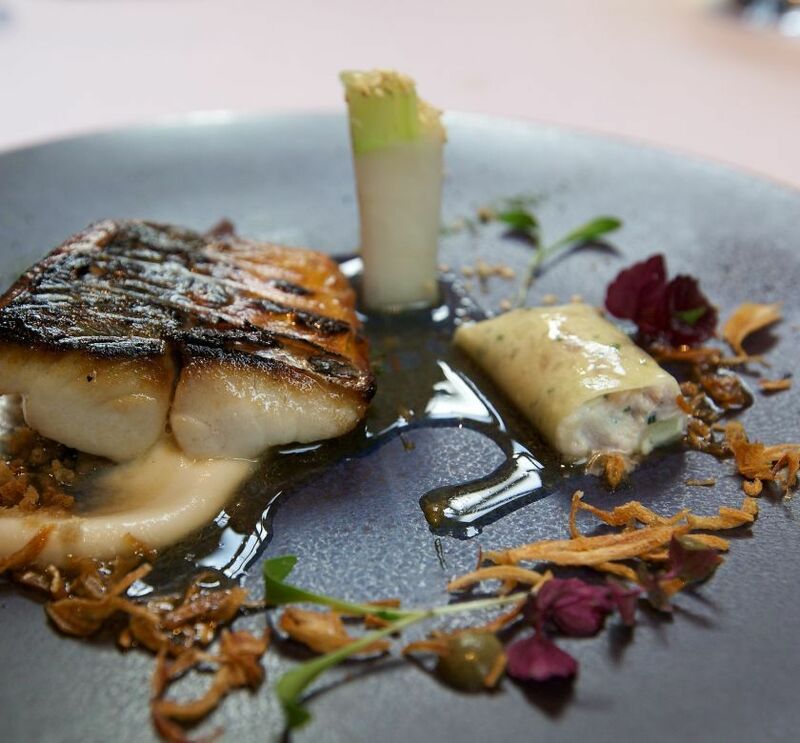 Michel Roux Jr. sticks to the traditional too, when it comes to the menus, which are presented without prices to all except the host of the respective table. It’s fantastic that some places still do this, even if some feminists might be less than happy about it. On the service side, too, nothing seems to have changed since the early days of Le Gavroche. The various waiters are dressed according to their rank and must adhere strictly to the classic rules of the waiting game, which they play brilliantly! Finding better service in London wouldn’t be easy; that’s for sure. 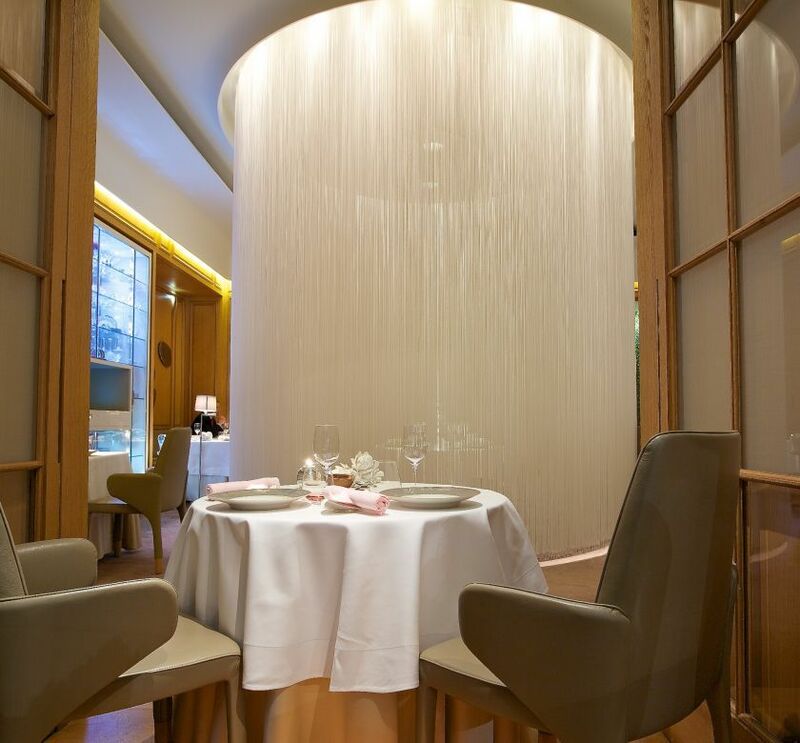 Under the direction of Emmanuel Landré, this brigade certainly knows how to make even first-timers feel more than at home in this very exclusive environment. The wine list also makes Le Gavroche different from most other London restaurants. Mainly French, it lists all of the great names in great vintages at relatively high, yet acceptable prices. Drinking here is a pleasure, because unlike some very well known Parisian establishments, at Le Gavroche the glasses do not date back to the 1960s. 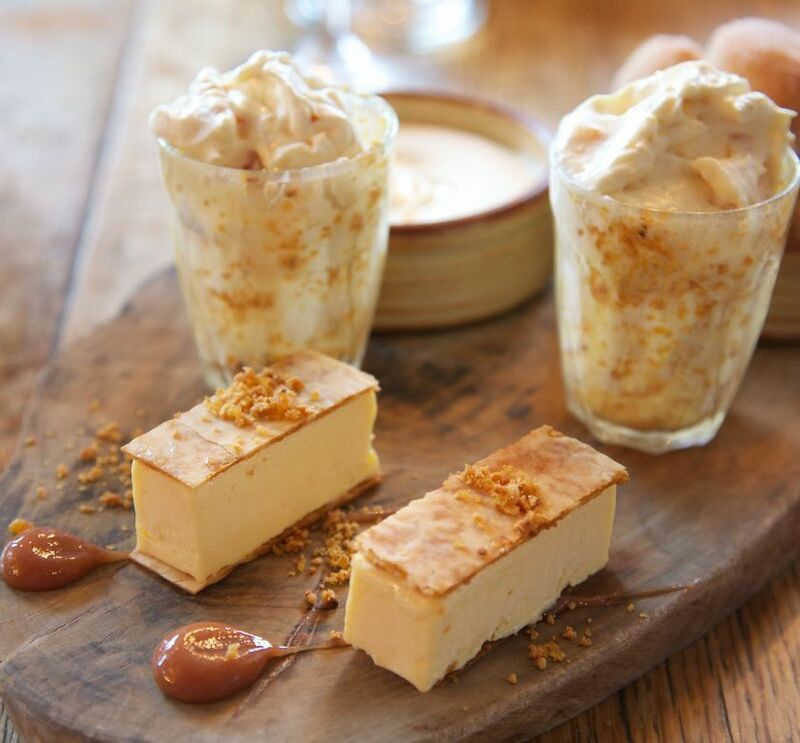 With all its very traditional elements, why is this restaurant is still counted as one of the best in the UK? The answer is, of course, the food. Indeed, it is the one thing that changed with the arrival of Michel Roux Jr as chef. He slowly modernised the style of the kitchen, and did so in a subtle, yet efficient manner. In addition to most of the evergreens still on the menu, such as the soufflé Suissesse or the omelette Rothschild (Roux senior had been personal chef to that very family), Michel Roux has also put on some of his own dishes. The style is undoubtedly very classical, yet somewhat more contemporary as certain dishes can be very minimalist. Take for instance one of his strongest starters, toast with pig’s trotters and salad. So simple, a few mixed leaves and pig’s trotter on a thin slice of toast, with a vinaigrette, nothing else. Yet, the dish does not need anything else. It is perfect. Why? Because it is both rustic and delicate due to the great attention given to every step of its confection. Priced at a mere £16, one can hardly complain about excessive prices here. 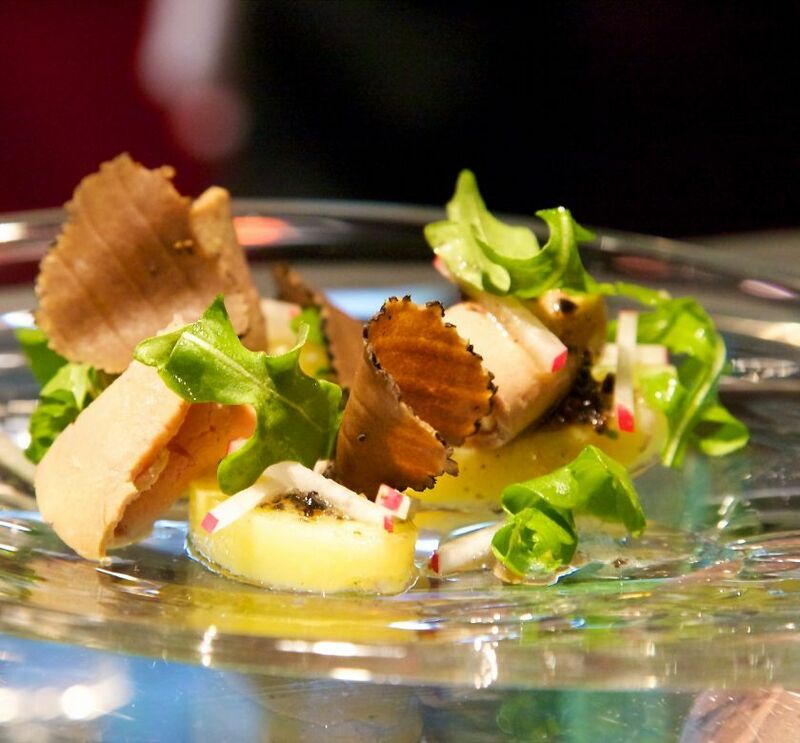 The foie gras Lucullus, which features a sliver of foie gras sitting on an artichoke heart, surrounded by truffled chicken mousse is another treat. 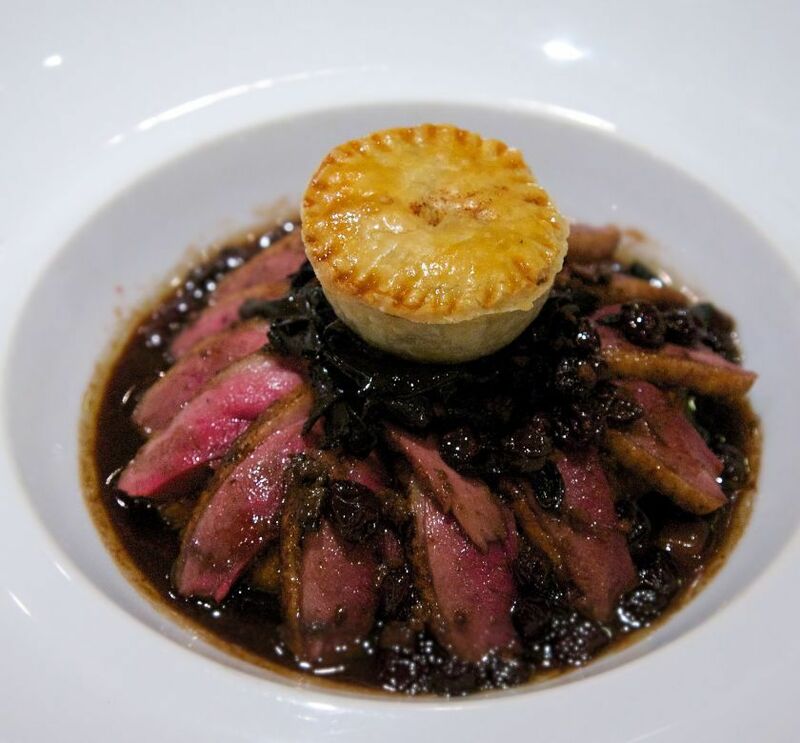 Served with a intensely flavoured black truffle jus, it is a superb dish. Again, the kitchen shows how well it can cook, and delivers something of rare finesse and quality. 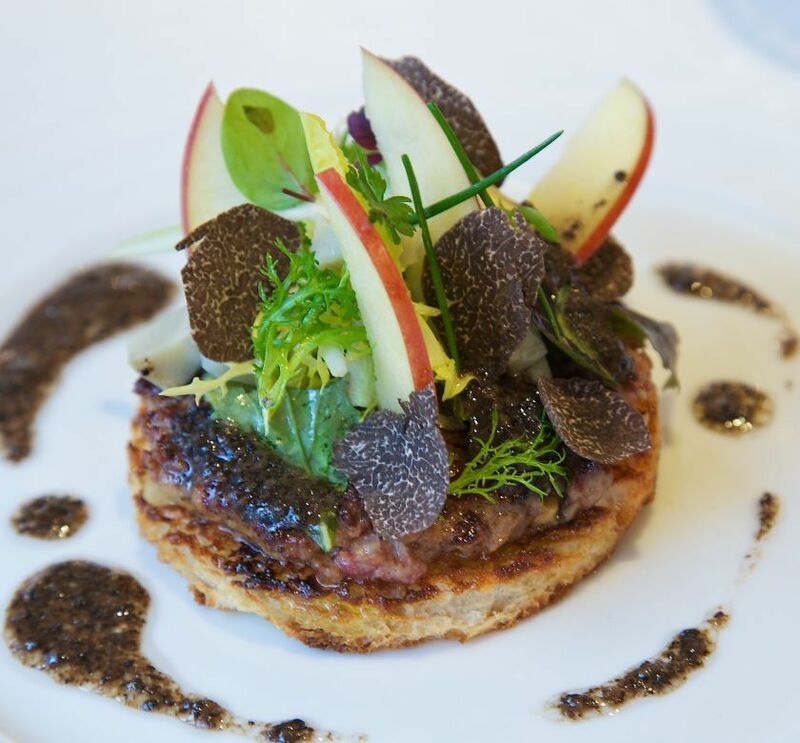 You have all of the subtleties of the foie gras, the chicken, the artichoke and the truffles. Together they create a rich, earthy set of flavours that is quite delightful. 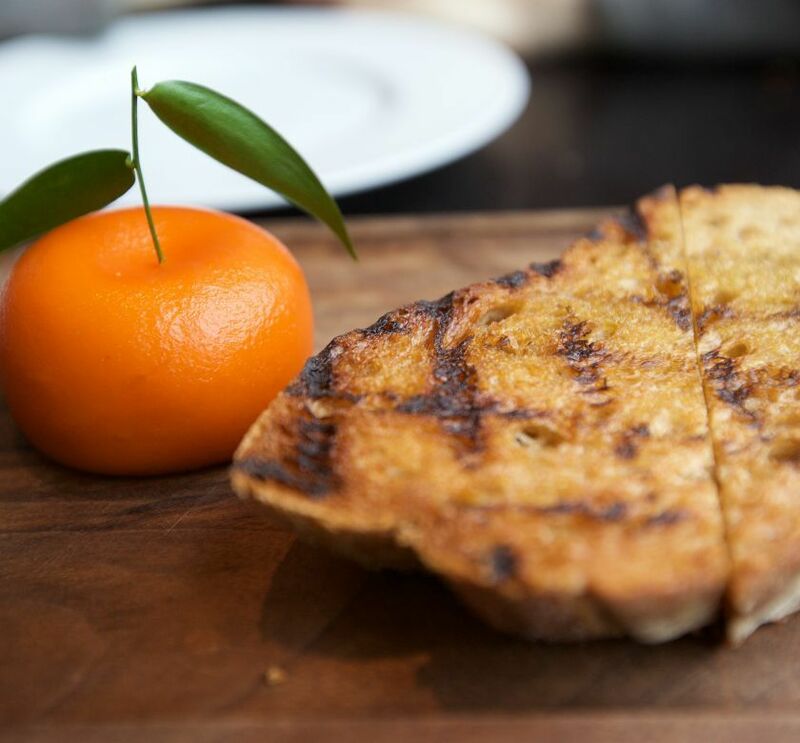 Whilst most of the classics served here are phenomenal, certain dishes leave you wanting more daring moves from the kitchen. The Lièvre à la royale is a little underwhelming mainly because the sauce lacks punch. Arguably the most glorious dish in French cooking, this version is technically perfect, yet it lacks the intensity of what you can find in other restaurants. That is one of the few weaknesses of this restaurant: Some dishes can be not as good as the (very) strong rest. 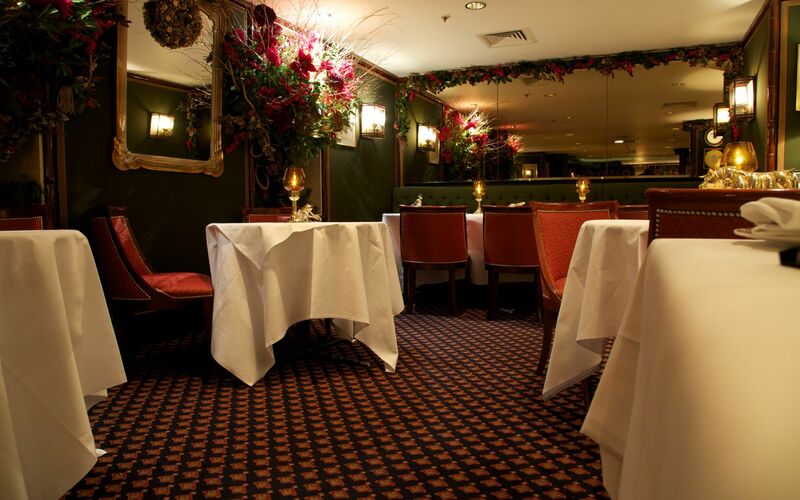 But if you can accept that, this little Mayfair basement restaurant is fantastic. It brings back memories of a time long gone, which are virtually extinct elsewhere.